For the running back of the same name who is his son (born 1983), see Gerald Riggs, Jr.
Before his NFL career, he attended Bonanza High School in Las Vegas, Nevada and after graduation attended Arizona State University in Tempe, Arizona. He played sparingly in 1978, running for 410 yards and four touchdowns along with 10 catches for 126 yards. In 1979, he ran for 363 yards with three touchdowns and 14 catches for 120 yards and one touchdown. In 1980 he continued in a backup role and ran for 422 yards with four touchdowns with 15 catches for 165 yards. In 1981 as the starter, he ran for 891 yards with six touchdowns and 11 catches for 139 yards in 11 games. He would close out his collegiate career with 2,086 yards and 17 TD on the ground and 50 catches for 550 yards. A superb rusher and pass receiver out of the backfield, Riggs made the Pro Bowl three times in his career from 1985 to 1987. His best season was in 1985, when he rushed for 1,719 yards and ten touchdowns, while also catching 33 passes for 267 yards. In the three seasons from 1984 to 1986, Riggs amassed a whopping 5,212 combined rushing and receiving yards, and scored 32 touchdowns. In his seven years with the Falcons, he rushed for 6,631 yards, making him the franchise all-time leading rusher. 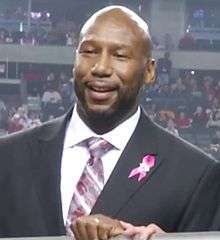 Prior to the 1989 season, Riggs was traded to the Washington Redskins.